Clinicians and medical delivery systems seek to provide high-value care. Since organizational culture affects clinician behaviors, it is important to focus on aspects of local culture that promote high-value care delivery. 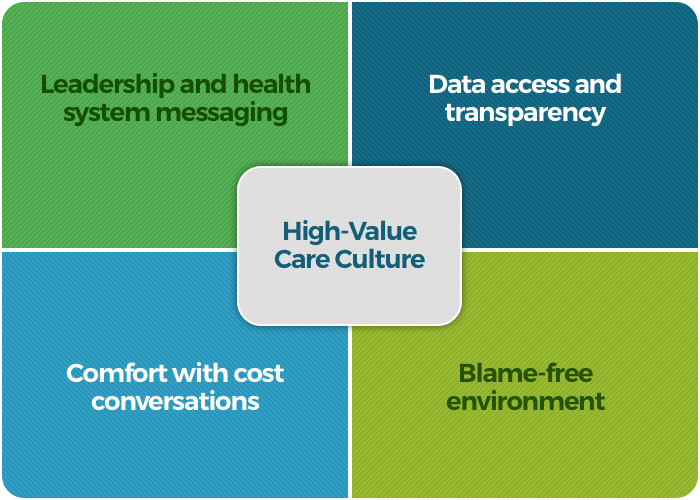 Similar to widely-used patient safety culture surveys, we defined domains that contribute to a high-value care culture and developed a simple high-value care culture survey (HVCCS)™ that may be used by healthcare groups to identify target areas for improvements and to monitor the effects of high-value care initiatives. The HVCCS was developed through a two-phase national modified Delphi process among 28 physicians and nurse experts with diverse backgrounds. The survey was then administered at two large academic medical centers in 2015 among 162 internal medicine residents and 91 hospitalists for psychometric evaluation. This website provides the framework, the published articles to date, and related resources for the High-Value Care Culture Survey ™. The terms High-Value Care Culture SurveyTM and HVCCSTM are trademarked by the High Value Care Survey Group, all rights reserved. Site © 2017	High Value Care Culture Survey.